Are you a Internet Guy and always worried about losing you Browser's Data OR Are you fed up of losing your Browser's Data ? So this post is specially for you guys ! By the way the word Browser's Data means your Bookmarks, Passwords, History, Add-ons, Tabs, etc. Specially we worried about our Bookmarks. I'm seriously worried about it. Couple of months ago my laptop's Internal Hard Disk was corrupted and I had to format my laptop almost once in a week. So, I was losing my saved bookmarks/browser's data every week and I really got fed up of this ! 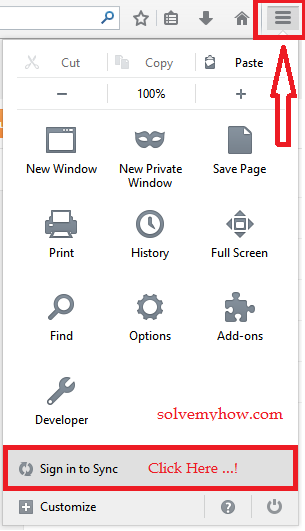 But with the Mozilla Firefox update I found the easiest solution to save my browser's data. The latest version of Mozilla Firefox is 31.0 but this functionality is also supportable in Firefox 30.0 ! 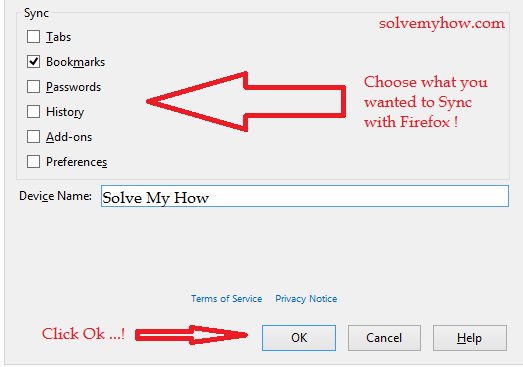 So, How to Save/Sync Browser Data with Mozilla Firefox ? Step 1 :- Press alt >> Tools >> Options ! Simply Create the Account if you're a new user or just login if you're an existing user. You can also go in "options" by clicking on 3 lines icon at the right hand side top. Step 2 :- Go-a-Head click on "Get Started" and create a account ! Just Provide you Email address, Choose your Password and Year of Birth. Then, just click on next. 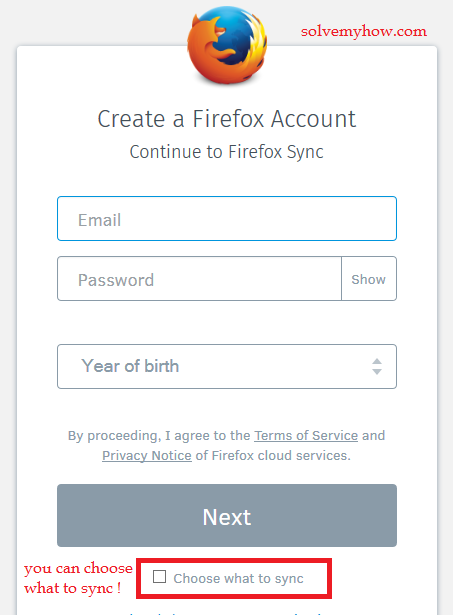 Note :- You can "choose what to sync" with Firefox. Step 3 :- Firefox will send you the "Activation Link" on your registered email ID. Just go, click on that link and Verify your account ! Choose what you wanted to sync and then just click on "OK". Now, Firefox will automatically take care of your browser's data. So, From now you won't lose any of your browser's data because it's saved on the cloud now ! Do you know any other easy way to store/save browser's data ? I'll glad to know. Please share it via comments !